No, this isn’t an early Hallowe’en post. 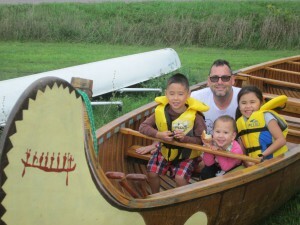 Okay, so it’s a friendly Beast, aka our Voyageur Canoe, a 33-foot, 450+lb, fiberglass-and-wood canoe designed and painted to look like the birch-bark canoes used during the fur trade. It earns its nickname not only for its weight but for the fact that any time we want to use it, we have to herd up a bunch of staff and volunteers to dismantle it into two (still beastly heavy) sections, load it onto two trailers, arrange for people with hitches to bring their cars, schlep the trailers and our staff/volunteers to the put-in, and then haul it off the trailers and reconstruct it in situ, which is always reminds why IKEA doesn’t make 500lb bookshelves. 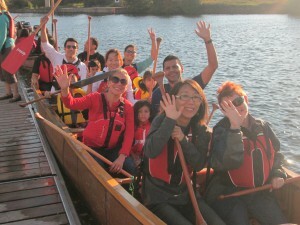 You just have to laugh, really, at how unbirchbark-ish our Voyageur Canoe actually is. What do you have planned for the kids in your life this summer holiday? 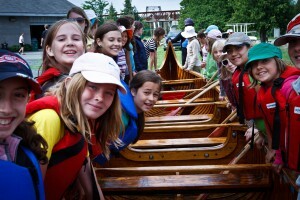 The Canoe Museum provides an exceptional quality day camp experience kids ages 10-14. 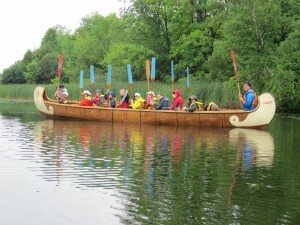 Spending the day on the water in a canoe, swimming when its hot, making new friends and learning the art of canoeing! What could be better? We have a few spaces available so check out the camps page for more information. 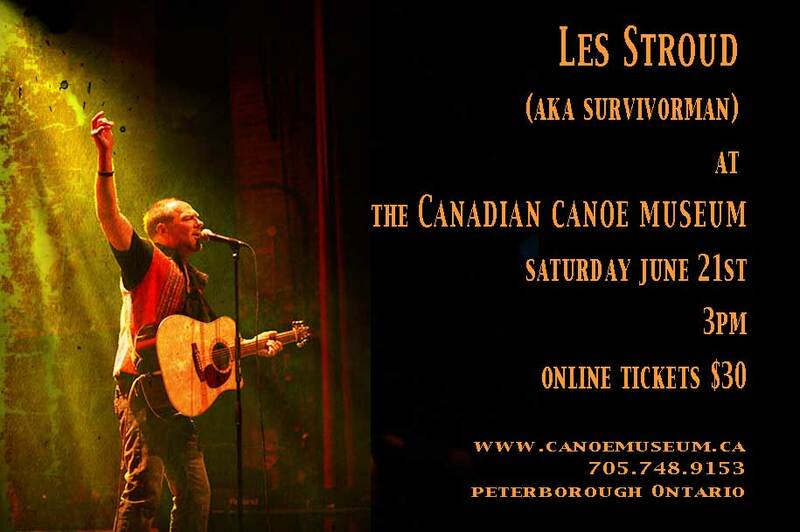 Les Stroud aka Survivorman is coming to The Canadian Canoe Museum on Saturday June 21st at 3:00pm. Don’t miss an interactive and intimate 90 minutes of music and conversation. A fantastic opportunity to share space and time with Survivorman! Doors Open to the Education Room at 2:30pm. Show starts at 3:00pm and finishes at 4:30pm. Cash bar and light snacks available. 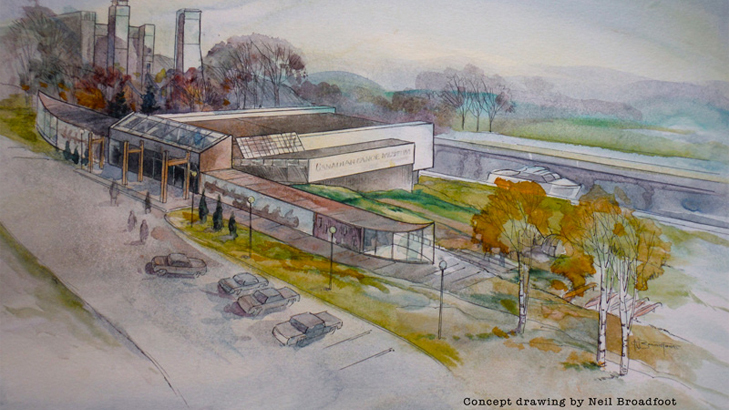 Parks Canada and the Canadian Canoe Museum are exploring an innovative idea of relocating the museum to the Peterborough Lift Lock National Historic Site on the Trent-Severn Waterway as a way to boost the tourism and revenue potential for both organizations. 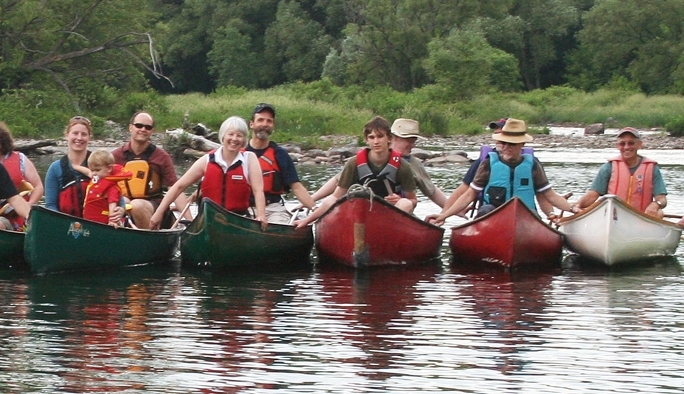 The construction of a new museum at this location would consolidate two significant tourism and recreation destinations in the region and offer enhanced opportunities for Canadian families, including the opportunity to better explore the canoe’s history in Canada and enjoy the diverse water-related programming and associated activities that can be offered by the museum at this historic location. 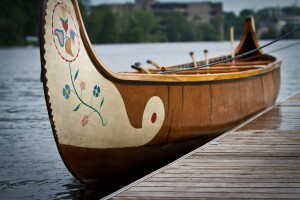 Parks Canada and the Canoe Museum will now enter into detailed negotiations to determine the terms of the potential partnership. This joint project would aim to increase visitation and offer new opportunities that would support each organization’s mandate and their financial sustainability. 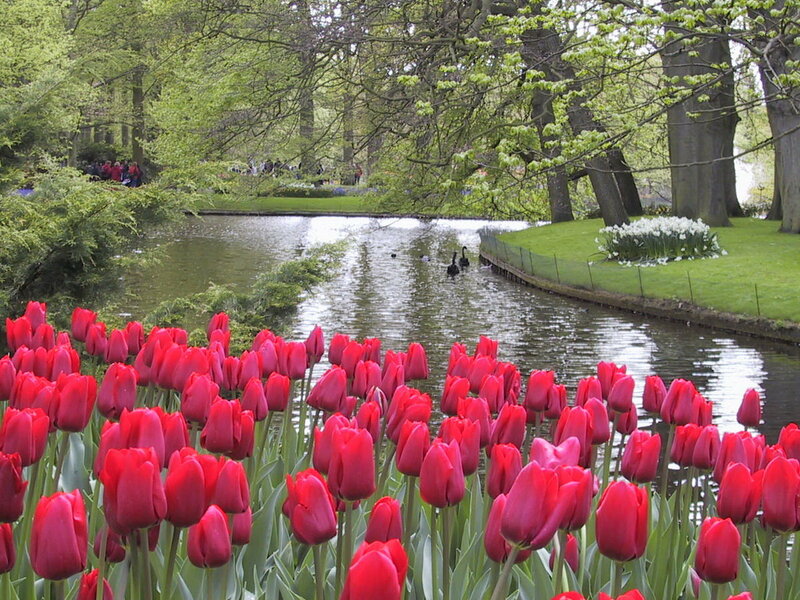 5 Cool Things To do This Spring – Yes, It Really Will Be Here Soon! It’s springtime here in Peterborough, Ontario and although this may seem hard to believe right now with most of the ground still covered in large snowbanks – it’s here. Pretty soon we’ll be enjoying watching the flowers bloom, the relief of ditching the extra winter layers, and for many the joys of dipping our paddles again. Because the snow (hopefully) will be melted sooner rather than later, it’s a great time to start planning for your spring. In the world of boat building, the classical method of developing a new hull design (i.e. no software) begins with the designer precisely carving a scale model of one-half of the intended shape. The sculpted results can then be studied, evaluated and easily adjusted until the discerning eye is pleased in every possible way with the model’s shape and anticipated performance. This half model is then sawn into pieces or, more typically, was carved out of an assembled stack of planks. Disassembled, the shape of each horizontal plank (or waterline) is transferred onto another surface to be scaled up full size to develop the patterns or forms for the boat proper. I cannot think of a cleverer or more elegant method of facilitating the dialogue between designer and builder as they come to an understanding about something as complex and curvy as a boat. 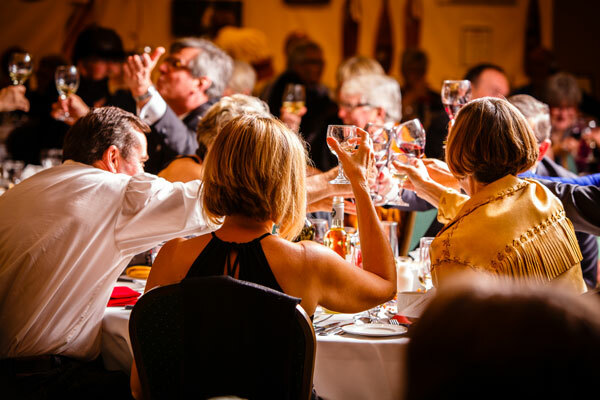 What a Year – Every Dollar Counts! What a year! 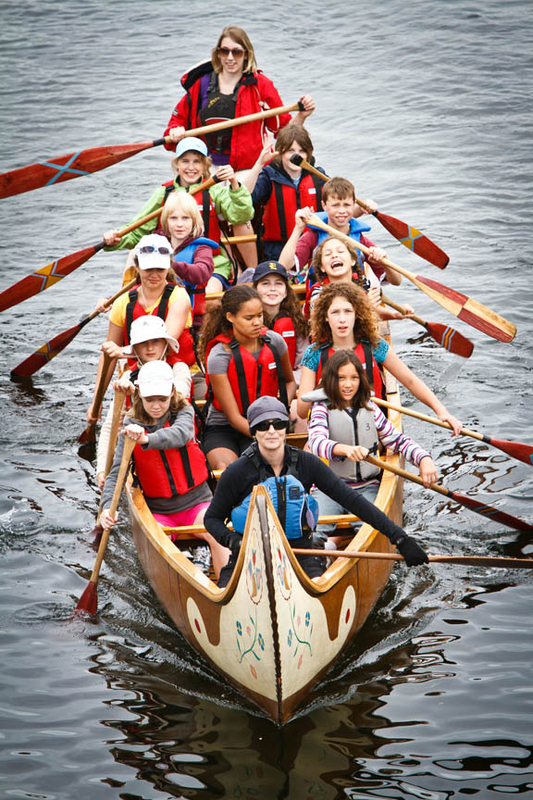 Thanks to the support of members, donors, and volunteers, this 15th year of The Canadian Canoe Museum’s operation in Peterborough, Ontario, has been one of the most intense and rewarding periods in its history so far. Canoe Sledding: The True Canadian Winter Pastime? With the onset of actual snow this morning in Peterborough and the Kawarthas, I think its time that we start focusing our attention on the most Canadian of winter sports. No its not hockey, and its not curling either. 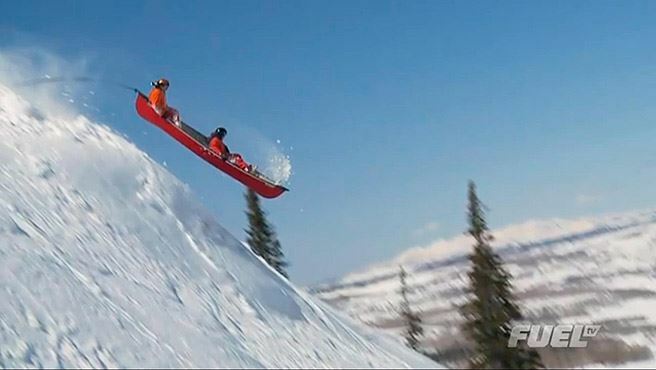 For those of you new to the sport I present: Canoe Sledding! 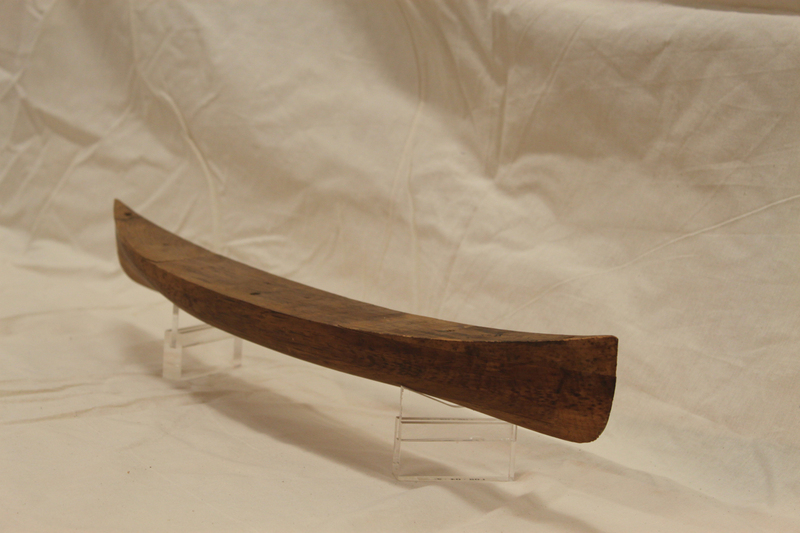 A great way to put your canoe to use over the winter so that it can earn its keep. 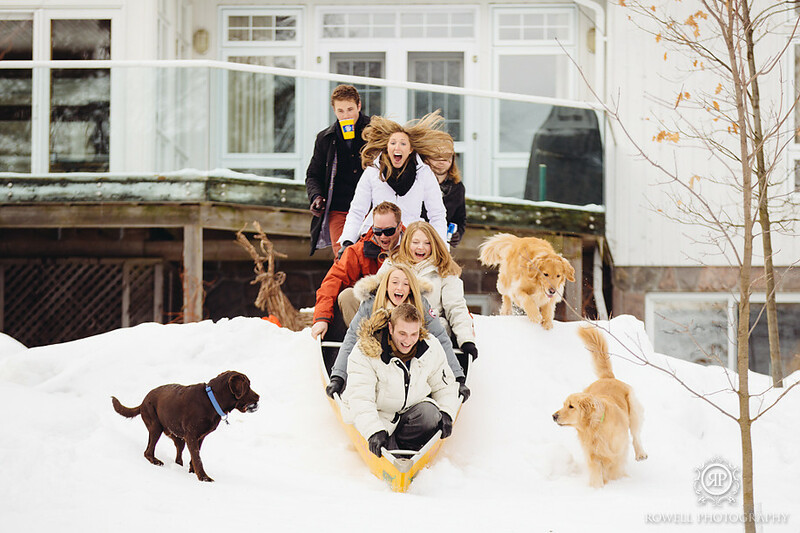 Canoe Sledding is fun for the whole family AND the dogs! Image copyright of Rowell Photography. These two are really getting some air time.